Heavy thinking – For the fainthearted . . . The obituary in today’s Financial Times spoke of the subject’s association with Jean-Paul Sartre and Simone de Beauvoir. A time will come when it will no longer be possible to cite the names of the Twentieth Century’s most famous philosophers to testify to the credibility of a person as a thinker. 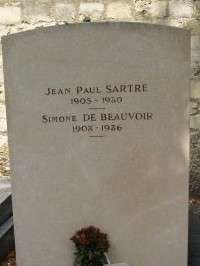 It is almost forty years since the death of Sartre and the number of those with whom he had associations who are still alive inevitably falls as the years pass. Sartre’s existentialism was not stuff amenable to light-hearted engagement. In undergraduate days, philosophy generally demanded rigorous thought. Pursuing a degree in politics and history at the London School of Economics at the time of the death of Jean-Paul Sartre, there was a feeling of relief that the political philosophy course seemed simple and accessible when compared with existentialist writing. The political philosophy lectures were from five o’clock until half past six on a Monday evening, the late time to allow attendance by other students from within the University of London. The professor who delivered the lectures in a steady, logically structured and analytical way was a man given to neither humour nor to light-heartedness. The purpose of the course was to understand the thought processes that underlay the unfolding of the political history of Europe and the world and it was a purpose that the professor approached with the utmost seriousness. One was left with the unmistakable impression that he would have been displeased by anyone who approached the consideration of political philosophy with anything other than the rigour and discipline he himself assumed. Had one looked beyond the college doors in 1980 and seen the rise of neo-liberalism and the emergence of the market as the arbiter of all things, one might have suspected that the student wit’s perspective on human life was closer to reality than that of the academic philosopher. The citing of Jean-Paul Sartre in the context of an obituary of someone who died in 2018 suggests that in the past forty years, no-one of comparable standing has emerged. 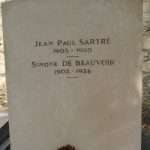 The deceased undoubtedly associated with many people since Sartre’s death, yet none are adduced as a testimony to his seriousness. Who will there be in forty years’ time whose name will convey the hallmark of seriousness?